"Love for Truth is the Cornerstone of the Spiritual Life"
The Teachings of Jesus are the Truth!!! You Must Know and Obey the Truth of Jesus's Teachings to have a Genuine Spiritual Life!!! Jesus's teaching, that we know as the "Sermon on the Mount", is the basic commands of living the Spiritual Life of the Kingdom of Heaven!!! Jesus said, "Beware of false prophets, which come to you in sheep's clothing, but inwardly are ravening wolves. "(Matthew 7:15) These particular false prophets are portrayed in verses 21-23 as having misconstrued the true Gospel with pseudo-charismatic ministry, "...have we not prophesied in your name? and in your name have cast out devils? and in your name done many wonderful works?" Jesus responds, "I never knew you: depart from me, you that work iniquity". Certainly there are genuine charismatics in the Body of Christ, but I submit they do not make a sideshow out the gifts of the Holy Spirit. True charismatics(those holy people called and gifted) operate in humility and lowliness. They are not flying jets and driving limos paid for by the widows mite sent into the address on the TV screen. WHERE IS DISCERNMENT? WHERE IS SPIRITUAL COMMON SENSE? WHERE IS OUR OBEDIENCE TO CHRIST'S WORDS "Beware of false prophets..."? Jesus warns us to beware of these phonies who misuse the gifts of the Holy Spirit or manufacture some imitation of the spiritual gifts. "I charge thee therefore before God, and the Lord Jesus Christ, who shall judge the quick and the dead at his appearing and his kingdom; Preach the word; be instant in season, out of season; reprove, rebuke, exhort with all longsuffering and doctrine. For the time will come when they will not endure sound doctrine: but after their own lusts shall they heap to themselves teachers, having itching ears; And they shall turn away their ears from the truth, and shall be turned unto fables". > This passage of scripture seems to be made for today!!! People who have itchy ears that can only be scratched by teachers telling them what they want to hear. People want teachers who will cater to their lusts/desires. Instead of living a life of repentance, where we welcome reproof, rebuke, and exhortations. Those with itching ears welcome fables, fairy tales that are without one sound doctrine. We read about what sound doctrine is in 1 Timothy 6:2-21 > "These things teach and exhort. If any man teach otherwise, and consent not to the wholesome words, even the words of our Lord Jesus Christ(FOUND IN THE 4 GOSPELS), and to the doctrine which is according to godliness: he is proud(a fool), knowing nothing..." So firstly we must compare what any and every minister says with the very "words of our Lord Jesus Christ", and secondly, we must judge every teaching with whether or not it leads us into godliness. Paul goes on describing these false teachers to Timothy saying, "knowing nothing, but doting(being fond of) about questions and strifes of words, whereof comes envy, strife, railings, evil surmisings. Perverse disputings of men of corrupt minds, and destitute of the truth, (NOTICE THE NEXT CHARACTERISTIC OF THESE FALSE TEACHERS) supposing that gain is godliness: from such turn away. But godliness with contentment is great gain. For we brought nothing into this world, and it is certain we can carry nothing out. and having food and raiment let us be therewith content. But they that will(boolomahee/Greek - purpose, resolve to be) be rich fall into temptation and a snare, and into many foolish and hurtful lusts, which drown men in destruction and perdition. For the love of money is the root of all evil: which while some coveted after, they have erred(been seduced) from the faith, and pierced themselves through with many sorrows." (verses 4-10) > St Paul is warning Timothy and warning all of us that we must scrutinize teachers in light of the teachings of Jesus and the doctrine that is according to godliness. Whether a person has no money or lots of money they must live according to these truths and turn away from any teachers who teach falsely and plant in their hearts the desire to be rich. It is possible to possess wealth and not be covetous, and it is possible to not have two nickels to rub together and be filled with covetousness. The Apostle is teaching us, whether we have wealth or not, that it always goes back to what Jesus himself taught about money, possessions, and things(Luke 12:13-21; Mark 4:14-20; Luke 16:19-31), as well as what Jesus taught about the way(Matthew 5-7), the truth(John 14-17, the life(John 3-8). St Paul adds an exhortation for those who are rich in verses 17-19 later in this pasage in 1 Timothy 6. "Charge them that are rich in this world, that they be not highminded, nor trust in uncertain riches, but in the living God, who gives us richly all things to enjoy; that they do good, that they be rich in good works, ready to distribute, willing to communicate; laying up in store for themselves a good foundation against the time to come, that they may lay hold on eternal life". Paul instructs Timothy to "Charge", ie. "pass on this teaching", that if you do possess the riches of this world that you are to be rich in good works. At the same same time let's be reminded that Jesus was most impressed by the giving of a destitute widow(Mark 12:41-44) who gave her last two coins(maybe 4 cents) to God's treasury which helped to feed the poor!!! Jesus wants all of us, no matter our financial state, to do alms. NOTE: In the final verses of this passage of 1 Timothy 6 St Paul addresses another kind of false teaching to be avoided. There will be teachers who will oppose the Gospel(from within and without the Church) with "profane and vain babblings" opposing Christ with "science falsely so called". Today we see this everywhere, teachers calling something scientific, or factual, when it actually is just a theory at best, or just not true. Today science has been turned into scientism, the natural sciences have become a religion all its own. Paul says they are falsely calling their teachings a science, when what is being taught is actually not based in experimental data, but in a religious philosophy. Today we must be aware of secular humanism, or atheistic humanism, and we must be aware of darwinian evolution. Paul warns in verse 21 that even some have erred from the faith. The warning here is not to get sucked into their "profane and vain babblings" or their arguments of pseudo-science. 2 Corinthians 2:17 > "For we are not as many, which corrupt(hucksterize - Greek/kapeleuo) the word of God: but as of sincerity, but as of God, in the sight of God speak we in/of Christ". The word "corrupt" in the Greek is speaking of a pedlar who is a huckster, one who is out for personal advantage, one trying to acquire dishonest gain(Vines p. 242). These false teachers make merchandise of souls through covetousness(Titus 1:11-16; 2 Peter2:1-22; Jude 1-16;). So, when a minister, whether on TV, the radio, or in the pulpit promises you something in return for a generous offering turn them into the "Better Business Bureau" :) . Well, actually throw eggs!!! Well, just turn and run, or ignore, or avoid, shun, or do all the above!!! 2 Corinthians 4:1,2 > "Therefore seeing that we have this ministry(LOOK ABOVE INTO CHAPTER 3 - THE MINISTRY OF THE HOLY SPIRIT TRANSFORMING PEOPLE FROM GLORY TO GLORY), as we have received mercy, we faint not; but have renounced the hidden things of dishonesty, not walking in craftiness, nor handling the word of God deceitfully..." > St Paul here instructs us by way of comparison between ministers who have "renounced the hidden things of dishonesty", and those ministers who walk "in craftiness" and "handle the word of God deceitfully". The honest ministers are careful not to mishandle the word of God, they are striving to see people transformed from glory to glory by the Holy Spirit. The false ministers adulterate the word of Truth, they take passages out of context to prove their false doctrine. Some will use whichever modern translation backs their unscriptural ideas. In a word, they are "crafty". St Paul says, "That we henceforth be no more children tossed to and fro, and carried about by every wind of doctrine, by the sleight of men, and cunning craftiness, whereby they lie in wait to deceive; but speaking the truth in love, may grow up into him in all things, which is the head, even Christ"(Ephesians 4:14,15). The "winds of doctrine" that cause us to be tossed "to and fro" are perpetrated upon us by "the sleight of men, and cunning craftiness". The word "sleight" in Greek is "kubia" or "kubeia" and denotes dice-playing(from kubos, a cube, a die as used in gaming); hence, metaphorically, trickery, sleight. The English word is connected with sly(Vines p. 40). False teachers are like card-sharks or those who roll the dice. There hands are quicker than your eyes and they take your money!!! These false teachers use subtilty, like the serpent in the garden of Eden with Eve. St Paul says, "But I fear, lest by any means, as the serpent beguiled Eve through his subtilty, so your minds should be corrupted from the simplicity that is in Christ. For if he that comes preaches another Jesus, whom we have not preached, or if you receive another spirit, which you have not received, or another gospel, which you have not accepted, you might well bear with (me) (2 Corinthians 11:3,4). Four points here; 1)Satan tempted Eve with a promise that she could become a god without God, that she could be a god through secret knowledge/wisdom(gnosticism)(Genesis 3:1-6). Eve's mind was corrupted by the subtilty of Satan's lies. False teachers often speak lies in such a way that those not grounded in the Faith can have their minds corrupted from the simplicity of Christ, and sell you a complex system of principles and steps on how to manipulate God to do things for you or to generate magical powers to cause things to come your way. In a word, witchcraft. You are taught by these false teachers how to manipulate God to do your will. (Read James 4:1-10). 2) Another Jesus? It is possible to be sold another Jesus besides the Jesus whom Paul preached. We must know the Apostolic Faith concerning the person of Jesus Christ, God incarnate, one of the Holy Trinity!!! 3) Another Spirit? Again, we must know the Apostolic Faith concerning the person and work of the Holy Spirit so that we are not deceived into falsehoods concerning the Holy Spirit. 4) Another Gospel? And yet again, we must know the Gospel according to the Apostles and Prophets. In Galatians 1:6-12 St Paul tells us of the possibility of preachers coming along who pervert the Gospel, creating their own version of the Gospel. So, we see that false teachers attack the heart of the Apostolic Faith; they present a different Jesus, maybe one who is not God, or a Jesus who is not fully human, or a Jesus who was raised from the dead as a spirit and not bodily(1 John 4:1-6; 2 John 7-11); they present another Holy Spirit, one who is not one of the Holy Trinity, or a Spirit who is just an impersonal force; they present a different Gospel; some false teachers present a Gospel of salvation by works alone, or they present a Gospel of cheap grace, or a Gospel of prosperity and perfect health with no mention of suffering. 2 Peter 3:16-18 > St Peter warns us that St Paul's epistles contain some things that are difficult to understand. Let us approach the Word of God with humility. False teachers pretend to know everything. They tend to speak for God even where God didn't speak. Many things are a mystery. By mystery we do not mean God has not revealed truth or left us in the dark, but that He has not always revealed why or how something could be true. Examples: the incarnation, the virgin birth, the two natures of Christ, the Holy Trinity, the bodily resurrection of Christ, the Holy Communion being His body and blood. These truths have been given to us to apprehend, even if we cannot comprehend why or how. 2 Timothy 2:14-17 > St Paul writes to St Timothy, his son in the faith, "Study to shew thyself approved unto God, a workman that needs not to be ashamed, rightly dividing the word of truth"(verse 15). God's ministers must study. They must approach the Holy Scriptures as a workman, as one who labors at knowing and understanding the scriptures. They must "rightly divide" the word of truth, that is, interpret the scriptures according to Jesus and by the Holy Spirit. Read Luke 24:13-35. 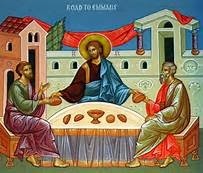 Take note how the scriptures were opened to the two disciples on the road to Emmaus. In verses 16-18 of 2 Timothy take note that St Paul will name names to expose false teachers who have erred concerning the truth and overthrow the faith of some Christians. The false teaching of Philetus and Hymenaeus had the effect of gangrene on the body. Acts 20:28-35 > With tears St Paul warned the Elders of the Church for three years day and night. In his farewell address to these Elders he warns "that after my departing shall grievous wolves enter in among you, not sparing the flock. Also of your own selves shall men arise, speaking perverse things, to draw away disciples after them"(verse 29,30). St Paul commends the Elders "to God, and to the word of his grace"(verse 32). Earlier he tells the Elders to "feed the church of God"(verse 28). St Paul also reminds the Elders of his own example as it relates to sacrificial living(verses 33-35). The Elders were to be the Truth-tellers, and the guardians of the flock of God. Dear brothers and sisters, it is time to take a stand against all the false teachers, in all their varied forms. You will judge angels in the future, now it is time to judge wolves!! !